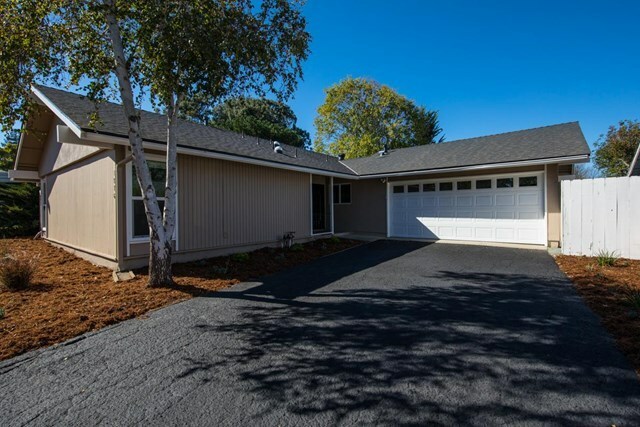 Newly renovated 3 bedroom 2 bath home in beautiful San Luis Obispo Laguna Lake neighborhood. The home has a great open floorplan with the kitchen open to the dining and living room. The newly renovated kitchen is beautiful with new cabinets, quartz counters and stainless appliances. The gorgeous flooring extends throughout the home except for the bedrooms which all have new carpeting. This gem is located near shopping, schools, Laguna Lake and Laguna park. Quiet neighborhood. Perfect place for families or couples starting out! Call your agent quick, before it's gone.